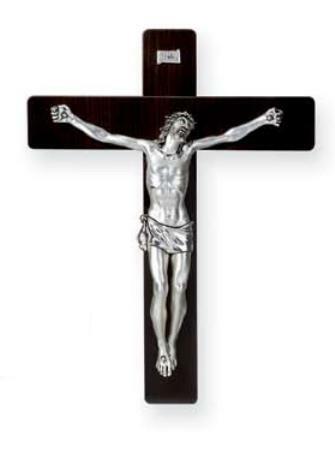 Each crucifix has a sterling silver laminated corpus set on a cherry wood cross. 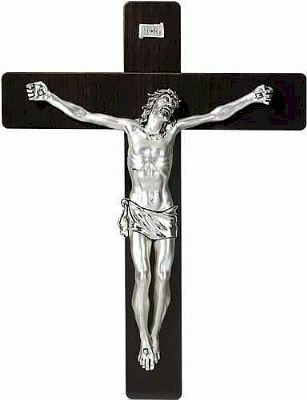 Crucifixes are available in various styles and sizes. Crucifix - 10" sterling silver laminated corpus mounted on wood cross. Crucifix - 10" sterling silver laminated crucifix mounted on a black wood cross. 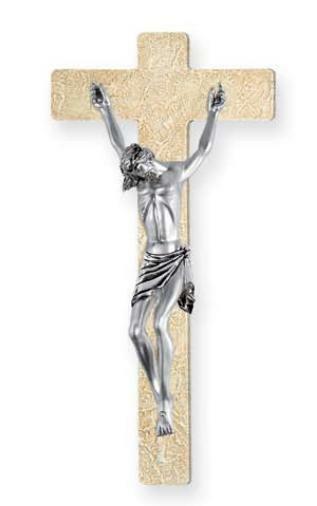 Crucifix - 12” sterling silver laminated corpus mounted on white wood - with gold painted front. Crucifix - 16" sterling silver laminated corpus mounted on wood cross. 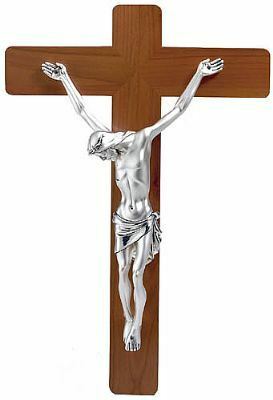 Crucifix - 17 1/2" sterling silver laminated crucifix mounted on a wood board. Crucifix - 18" sterling silver laminated corpus mounted on wood cross. Crucifix - 18" sterling silver laminated crucifix mounted on a black wood cross. 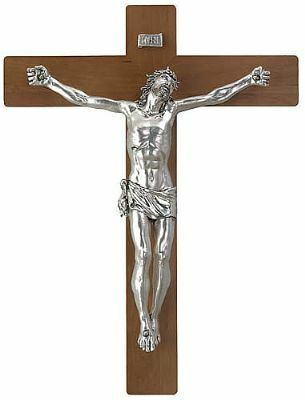 Crucifix - 20" sterling silver laminated corpus mounted on wood cross. 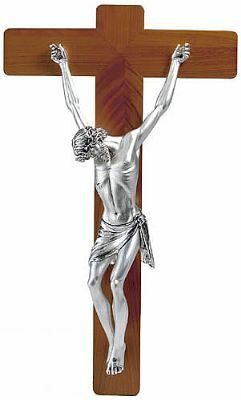 Crucifix - 9 1/4" sterling silver laminated crucifix mounted on a wood board.